First, both choices are rather toxic — fans, often abusive, show blind, cult-like devotion to ‘demigod’ Imran Khan; and critics, often scornful, reserve instinctive, pathological malice for every syllable that he utters. Collectively, they deeply polarise conversations about him and jeopardise any fair and balanced assessment of his personality and politics. I shall steer well clear of both. Second, the most frequent loyalist justifications for almost everything that Imran Khan says and does are: 1) He has been a stylish, iconic, highly successful and internationally recognised cricketer and captain; 2) he is not known to be involved in financial hanky-panky; 3) he has championed and made possible major projects of philanthropy and public good; and 4) he is a man of tremendous fortitude and commitment. The fact that he has achieved so much despite starting as a rank outsider in Pakistani politics is ample proof of that. I dispute none of the above. My question is very basic: is Imran Khan fit to lead a highly complex and challenging polity like Pakistan? His acolytes consider this not a question but an affront. They fret and they fume. Then they hold forth with great passion on the rank incapability, kleptocracy, idiocy and ineffectualness of all his politician predecessors, barring, mercifully, Mr Jinnah. Such descriptions are often weak on facts, details, analysis and nuance. Quite inadvertently, they also end up reinforcing the deep state’s favourite mythos of politics being inherently corrupt and politicians being inherent scoundrels. 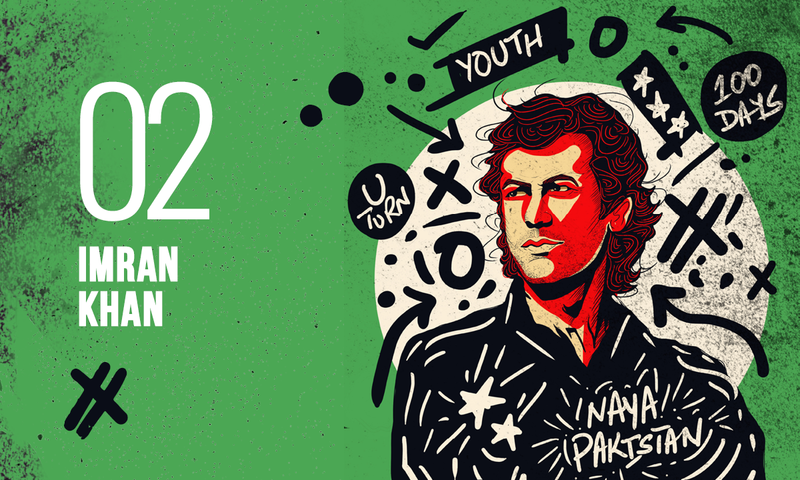 All of Imran Khan’s tremendous sporting achievements, acts of philanthropy and disdain for stealing aside – and I acknowledge that these attributes make him extraordinary – any additional credentials for leadership rarely come up. But then the contention is pointless, they argue, for all alternatives are putrid. The question remains, however, that though financial integrity is a necessary virtue for high office, is it sufficient to qualify someone as a leader of people? In other words, while it is a given that our political representatives ought to be honest, would we also want them to possess many additional qualities? I have had the same debate with several honourable judges over the years in the context of eligibility for high judicial office. I maintain that honesty is a sine qua non – an essential requisite – for being a judge. Honesty, truthfulness, generosity of spirit, even-mindedness, moderation, etc, are necessary character traits for any respectable human but a higher, responsible station in life also calls for additional special skills, temperament and experience. Obviously, I do not want a judge to be adept at skullduggery but, apart from not being inclined towards theft, shouldn’t they also demonstrate ability, knowledge, aptitude, stability, foresight, wisdom, courage, neutrality and lots more? In sophisticated jurisdictions, all this is gauged and determined through multiple ways. But their lordships maintain that a person can be a great judge as long as they are honest. Is this because as a nation we have been betrayed so many times by our leadership that we have very low self-esteem and little confidence in our leaders? We do not expect much from them — to the extent that we heave a huge sigh of relief as long as someone in a leadership position is not an outright cheat. My analogy is that I would never hire an inept, dim, cowardly and/or emotionally unstable security guard who may well be dead honest. Unless I am reckless about my security or a death wish motivates me to be accidently shot. Just because a person is not a fraud does not mean he has all the other necessary qualities to be entrusted with high-state responsibilities. The loyalists evade this point. Instead, they retort that not only were Imran Khan’s predecessors scandalously corrupt, they also lacked any of the abilities that I look for in judges as well as in a prime minister. Furthermore, since Imran Khan is already prime minister, I am urged to move on. There still remains a problem. Many Pakistanis have legitimate concerns about the fairness of the elections held in July 2018. Let us assume for the sake of argument that they are not all traitors, lifafas, noonies, patwaris, corrupt, unhinged or any of the myriad other creatures that the more youthful and less decorous amongst the ruling Pakistan Tehreek-e-Insaf (PTI) supporters brand them as. They argue that there is evidence to suggest that PTI’s electoral fortunes benefited from the deep state. They hear back that Nawaz Sharif was created by the deep state. They critique that Imran Khan and his team lack a clear ideology and a political framework and, thus, often contradict themselves and renege on promises. The retort they get is that Sharif and Asif Zardari are both corrupt. They point out that PTI neither appears to have any rigorous plans of action nor a capable team to implement any such plans. They hear back that Sharif and his stalwarts are all corrupt. Unfortunately, there is little possibility of a dialogue here. Hardly any room for a constructive critique and no space for a meaningful discourse. And the reason is that anyone who does not unquestioningly embrace Imran Khan as the flawless leader, a sage and a valiant agent of positive change is immediately looked upon and categorised as corrupt. While putting forth solid criticism, Imran Khan’s critics can also be no less exasperating than their ‘youthful’ opponents. For one, it is obsessive and patently unfair to perpetually judge him on every move he makes and to pass definitive judgments on PTI’s performance even though only four months or so have passed since it came to power. Perhaps the critics’ ire and impatience stem from the party’s excessive civil disobedience to bring the previous government to a standstill, its relentless demonisation of political opponents, its oversimplification of complex issues and the abusive culture allowed and condoned amongst its younger cadres. But when did two wrongs ever make a right? Second, PTI detractors ought to honestly concede that almost all the problems that the party’s government faces – institutional decline, economic fragility and frayed foreign relations – are the direct outcome of inept governance by the very political parties they defend, if not wholly subscribe to. Let us also not forget our long-standing challenges of civil-military imbalance, the corporate agendas and turf management on the part of the deep state and a highly volatile neighbourhood — all of which combine to make democratic sustainability in Pakistan incredibly tough. 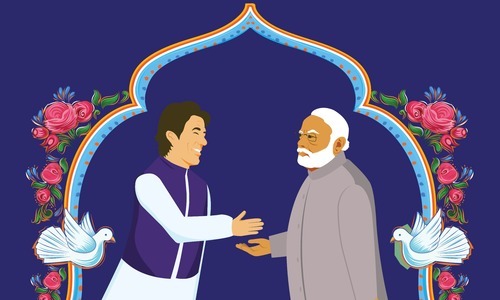 To expect overnight miracles – even if Imran Khan and Co. naively or capriciously promised these – is quixotic. In other words, PTI definitely deserves to be cut some slack. Governing Pakistan is no walk in the woods as the party likely is realising now. 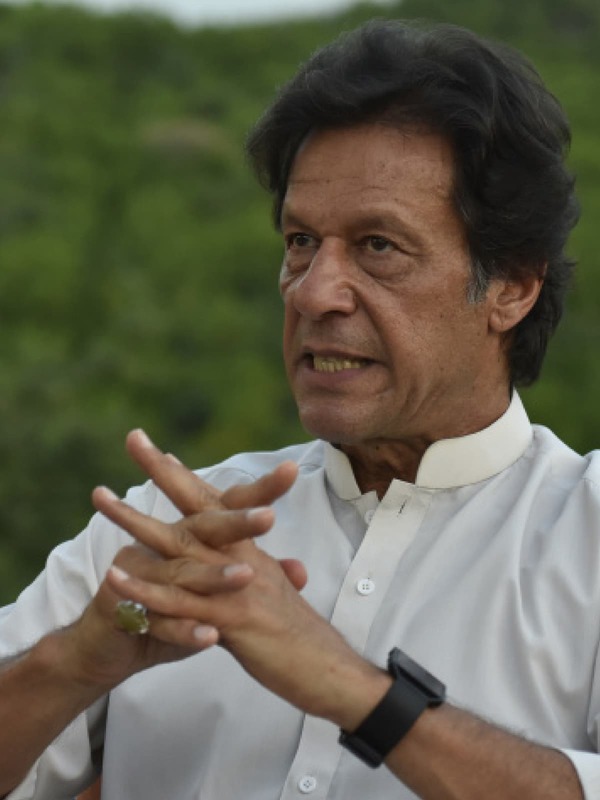 While being preoccupied with denouncing everyone preceding it for involvement in corruption, the PTI leadership has by and large been silent on how it intends to tackle the three phenomena that pose serious existentialist threats to Pakistan — the overreaching deep state, growing religious radicalism and the impending meltdown of the formal legal system (despite having the word insaf or justice in its name). Recently, Tehreek-e-Labbaik Pakistan’s excessive religion-inspired vitriol and adventurism brought about a clampdown on its leaders and cadres but no serious political commentator ascribes it to the PTI’s resolve. Instead, the consensus is that Tehreek-e-Labbaik Pakistan crossed a red line when it abused the army leadership. It is also hard to forget Imran Khan’s past apologia for and his generally placatory approach towards dogmatic and at times highly aggressive religious forces. In short, critics point out that he takes great pains to stay on the right side of the junta, the religious clerics and the judges. His defenders, in turn, question his critics (and it is a legitimate question) as to what choice does he have. They go on to cynically ask as to who among those who have survived Pakistan’s politics has not been compelled to do the same. Imran Khan’s critics, however, retort that since he has been elevated by his supporters to such an unassailable stature, surely he ought to rise above being a mere survivor like his compromised predecessors. While these exchanges continue, reality once again remains more entangled. Admittedly, there appears to be no transparent and uncompromising way to attaining power in our murky political milieu. Arguably, this is largely true for almost everywhere. Perhaps, what is of overriding consequence is that, despite making certain not-so-insubstantial compromises, Imran Khan will look to become stronger and more self-assured in order to ultimately unshackle his own politics and thereby also unshackle Pakistan’s politics as a whole. Conversely, if he picks and fights all his battles now, he is fairly unlikely to last the distance. After all, others before him, more gifted than him, failed, were jailed, and were even executed for their troubles. One sincerely hopes, though, that Imran Khan recognises these challenges and is merely biding his time to fight another day. For unless he is incredibly naïve or opportunistic, he too will soon realise how untrustworthy the aforementioned bedfellows are, with their entrenched ideological, commercial and political agendas and interests. Also, if he is perceptive and just, he ought to recognise that castigating all politics and politicians is not just unfair but also self-destructive. For one day he too may be unceremoniously cast aside by those who have historically controlled the state despite having no legitimate mandate to do so. The mullahs that PTI opportunistically supported have already provided a flavour of how disruptive they can be. Imran Khan ought to know also that we live in even more deceitful times than those of Ziaul Haq’s because the way to attain the unconstitutional now is through the patently constitutional. The same Articles 62 and 63 of the Constitution that appear fashioned from gold thread could well sound the death knell for his political career, orchestrated by the junta and rung by a judiciary that is beginning to resemble the judiciary of old. The media being muzzled under his watch will be too feeble to come to his rescue when the crisis comes. The survival of PTI’s politics lies in the survival of Pakistan’s larger politics. Civilian governments always live on borrowed time. Quicker the realisation, greater the chance of survival. Is it all doom and gloom? Not quite. All said and done we now have PTI as a third major political party – apart from the Pakistan Peoples Party (PPP) and Pakistan Muslim League-Nawaz (PMLN) – in the fray that can deepen political discourse and competition. PTI has already successfully galvanised various sections of urban society, especially the young. It has motivated more people to get engaged with politics. It has raised overall expectations, and for many, it has rekindled hope. It has brought forth some new faces though it still clings on to far too many jaded ones. Similarly, Imran Khan was and remains one of the most globally recognised, and respected, Pakistanis. In his past lives, he has demonstrated will and perseverance, courted challenges and got the job done. He retains charisma, can and does inspire many and is not part of any traditional cartel of crony capitalism. The 2018 elections are tainted but there is also no denying the palpable wave of support that he generated that saw him through, albeit narrowly. Going forward, it is vital for Imran Khan to change tack. Whatever he says and does from hereon ought to promote political institutions, culture, debate and pluralism rather than denude them. Most notably, he has to now venerate, strengthen, and empower Parliament. This is especially necessary given his past record of regularly undermining this vital democratic institution. He also needs to decentralise power within PTI, delegate more responsibilities to capable people and help the party outgrow the personality cult that it started out as. Not only within PTI, he also has to demonstrate unflinching commitment to decentralisation of power to provinces and local governments — which is the way forward to a prosperous and sustainable federation. Any ill-intentioned counsellors urging greater centralisation of power and rollback of the 18th Constitutional Amendment need to be firmly resisted — their counsel is blind to clear-cut lessons from history as well as contemporary global trends. Imran Khan has to ensure the same fairness in political accountability of his opponents that he would expect for himself. He needs to spurn inquisitorial impulses. He has to recognise that mere rhetoric only helps whet the nation’s appetite. If its desires for greater prosperity, equality, peace and justice are to be truly sated, that would require a lot of seemingly dull but incredibly hard, rigorous, consistent and often highly specialised work. The sooner PTI graduates from words and claims to actions and delivery, the higher its chances of success. A wealth of Pakistani talent is available to PTI at home and abroad. Talented people would happily contribute if courted and engaged with meritoriously, respectfully and professionally. Imran Khan needs to delegate, and delegate wisely. He also needs to be more considered in terms of what he claims, alleges and promises. The game plans and blueprints put forward by PTI so far are hardly stellar. Many in his team are below par, a liability, downright embarrassing or reek of nepotism — or all of the above. To survive and to flourish, PTI needs to pick a much more exciting and outstanding team that talks less, engages widely and deeply, and sticks unwaveringly to well-thought-through plans. The time for politics of attrition is over now. It is time for solid governance. In many ways, this also means that Imran Khan and PTI should, from hereon, focus far less on his remarkable personal charisma and past triumphs. Instead, all that really matters now is sustained and dogged party work and hard-won collective victories. The writer has been the inaugural Henry J.Steiner visiting professor on human rights at the Harvard Law School. This article was published in the Herald's January 2019 issue. To read more subscribe to the Herald in print. Imran is honest, is able to lead, and trust worthy. Didn't he pick up the national team when we were down and out at the 1992 cricket world cup? Or when everyone was laughing at him for SKMT Cancer hospital? Or how about Namal University? Rome wasn't built in 6 months....Look at the result in KP, the people elected him back where second chances are not given. Doing the right thing is difficult and painful, and that is what his government is doing. If the thieves can lead us for the last one decade, surely Imran can do a slightly better job, no? Finally, to hear some sane voice, as I always argued that being a celebrity, or glamours personality does not always help to steer towards the avowed destination, especially when the personality is naive on several matters. The narrative of the general public needs to change. Stop expecting, stop complaining, and start doing. Fair and balanced. May the PM and his team take heed. What a wonderfully balanced article. Very neutral in terms of its critique. Nicely done. He doesn't have the capacity to handle complexes issues confronted by Pakistan. He has been catapulted to a "position he never deserved" by those who actually pull the strings. The idea that he is financially clean is also a myth. A person who can't run his kitchen from his pocket; he is definitely not clean. Too early to expect the crops to be harvested, having a look at the financial situation now that the government sees realities from behind the counter. It's a mess. Osama, actually your arguments don't hold at all. You cannot even raise the spirits of a few. You are good at bringing them down though. It is you who needs to change, not Imran Khan. My question is very basic: is Imran Khan fit to lead a highly complex and challenging polity like Pakistan? My answer is very basic: Yes, he can't do any worse than Sheriff, Zardari, Musharraf, Benazir, Bilawal, or Maryam. The mind boggles. Mr Harvard questions whether Imran is fit to lead a complex political entity as Pakistan... As if we have a better choice? 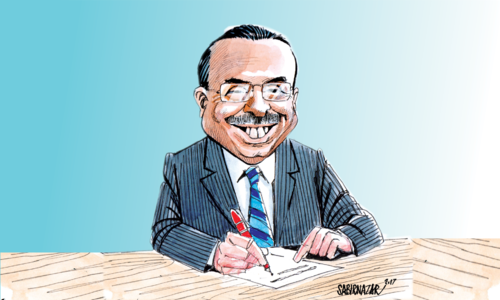 Do you think Nawaz and Zardari are better suited? He's the best we've got. Simple. @Maz pray tell, who has the capacity? Indeed a balanced approach and positive criticism. But your "weak" and "dishonest" guard analogy has really created a few confusions in my mind. Firstly, once the guard is either "dishonest" or "weak", then your survival is a "chance" either way, the only question remains is the probability of survival. I would say the guard's venality will sure shot harm you, as his "interests" are not your protection, but the protection of his own interests, and as such in a time when you will need him the most he will betray you for a higher 'price'. Whereas an honest and loyal guard will go down with you and at least save you the "embarrassment" of being betrayed by the very person whose job was to protect you. By the end of his term, he is going to raise the debt level more higher than previous governments. Thanks for laying everything in open. This elephant really needed addressing. @Shuja Khan Did you even read it to the end? You just resorted to the gestures whose absurdity the writer was pointing at. The sooner IK realizes that he lacks a winning team, the better it would be for him and the country! In 1992 he won the world cup because he had a winning team! In his present team, who is Javed Miandad? Who is Waseem Akram? He needs professional people on merit! Moreover, as PM he should not indulge in returning favors to friends of cricket days! When he selects one of his drivers in London as his adviser for overseas affairs, it turns off all overseas Pakistanis! Overseas Pakistanis want to help IK and Pakistan, but continuation of the modus operandi of Shariffs and Zardari forces them into a reluctance mode! They want a real change which IK promised in per-election days! Just a incoherent rambling article. Everybody recognises that he does not have great political experience but he is the best candidate to lead the country out if the mess created by the two other parties. As a PTI supporter I find it mildly annoying that articles after articles are published citing the PTI supporter as dumb and blind hero worshippers. There are those as well but many supporters are educated, knowledgeable individuals who are willing to accept some of the shortcomings and also can logically argue why IK still is the best bet. The reason I continue to believe is a very well documented agenda and the leadership's obvious resolve to implement that agenda. I do feel the implementation needs to be speeded up in some areas. But all in all things are headed in the long direction. We should all pray for the governments success. If PTI succeeds in these 5 years, Pakistan succeeds. "Is it all doom and gloom? Not quite." Rightly said. A country like Pakistan needs at least 10 years to repair the damage accrued so far. We need sincere leaders for that. Imran is the first one. In the meantime, keep the Mullahs in concentration camps. I would be very sad if a better option was not selected just because I voted for PTI. Dreams are only meant to be made for raising the aspirations of the people. Meeting those would negate the theory. Let them be made to be fool any one willing to be fooled. In an year, there will be no requirement for such articles. Pak rupee would be down by another 30 percent n loan defaults would have begun. A cricketer for PM is a genuinely flawed idea. Hopefully his performance will not be as bad as his marriages! Those who expect a quick fix to a 4 decades of 'rot' in every official institution are deluding themselves! Criticise near the end of PTI's 1st term until then it is every ones duty to their bit for the country and ask not what the country can do for them! Looking at lackluster performance of the PTI govt. during the past 7 months, be it handling of economy, performance in the parliament holding several session without passing of needed laws, carrying out urgently structural & institutional changes leading to good governess & plugging in of wasteful expenditures, which comings to a naught, raises lot of questions about his team’s capability to handle things expertly & in a timely manner. Latest down grading of country’s credit rating by Moody & S & P plus latest one of our banking system from stable to unstable, are enough indicators to show that things are not moving in the right direction. Under this backdrop, this article highlighting vulnerable areas requiring urgent remedial measure is a good and sensible read. The PTI , though right in carrying out accountability of corruption from rank & file of past rulers, without getting obsessed should also look into other teething problem which are getting compounded with each passing day. Who is the replacement then? because everyone else is FRAUD and DISHONEST. Country is better of with Imran Khan even with all his short-comings. He is sincere and working hard, no body has even came close in recent history of Pakistan. Why were you not making list of Nawaz and Zardaris short comings? Only 5 months and first time in federal govt. Yet you expect 30 years of mistakes corrected already. Be patient. @Shuja Khan your exactly the supporter referenced in this article. Your a person who instead of holding Imran to account on his many false promises ( such as devaluation of the ruppee and IMF loans) are simply content in knowing that he atleast is more honest then the people before. Picking a cricket team does not make a person capable of managing the economy and policy of a country. No? I have problem with Osama's observation: is Imran khan fit to lead...Pakistan....... Imran khan leads a party that has won majority and formed a coalition to rule the country. 2018 election was not a repeat of 1977 or of by elections that have been held in the previous millennia!it was also different from the polls held in the earliest years of Pakistan when the term for riggin was coined in Punjab ..JHURLOO. Nor when DC Jafri gulped ballots in the earliest elections in Lahore after partition. if not IK then who? An Excellent and Correct depiction of the situation. Imran Khan does NOT posses the requistie leadership Skills despite ALL HIS GREAT QUALITIES. Pakistan most needs a Leader with experince who is sure of his/her own convictions and is honest. Not the other way around that he/she is honest but is not a leader. Imran Khan is defintely in the latter category. Is terrorism back to haunt us?